One of the best tools travellers can take along on a trip is an informed vocabulary for the places they'll be visiting, and three of the best words to keep in mind for any historic European city are Gothic, Renaissance and Baroque. For most people these terms will crop up in connection with architecture; a Gothic bridge here, a Renaissance chateau there and Baroque scrolls and cherubs just about everywhere. The big advantage of knowing the terms and understanding what they mean is that they transform a city from just a bunch of old buildings to a place with a story. A traveller who can recognise and interpret architectural styles will be able to tell how old a city is, in which periods it flourished or stagnated, which parts were home to the rich, the poor, the Jews or the Gypsies and be able to find the signs of past fires, floods and war damage. This post will attempt a brief layman's overview of Baroque architecture as it appears in the Czech Republic. If I can think of clever names, posts about Renaissance, Gothic, Romanesque and Secession architecture might follow. 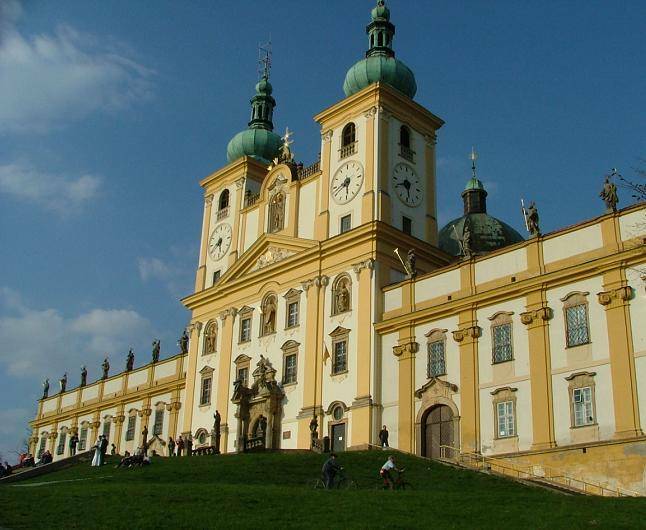 At the time the Baroque style was first developing in Italy, the Czech lands were embroiled in a religious war that lasted the three decades from 1618 to 1648. When the Thirty Years War ended, much of the post-war rebuilding was in the Baroque style favoured by the victorious Roman Catholics. 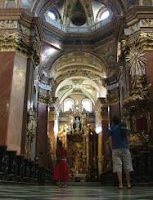 In contrast to the austerity of earlier Gothic cathedrals, Baroque church interiors are richly and majestically decorated. Elaborate murals, ornate sculpture, gilding and other opulent surface decoration and embellishment are telltale signs that an interior dates from the Baroque era. 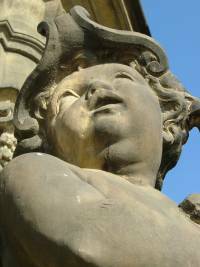 Later Baroque churches might have elliptical or complex floor plans and the saints, cherubs and angels will be twisting, turning or writhing as the sculptor expresses the drama of the moment he's captured them in. 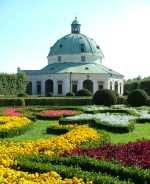 Outdoors, giveaways that a particular building is in the Baroque style include roof domes and cupolas, pear-shaped spires, mirrored pairs of asymmetric scrolls, elaborately sculpted stone door surrounds, and elliptical or complex geometrical window openings. 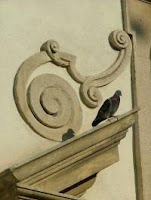 If you can spot three or more of these features on any historic building it's a safe bet that it dates from the Baroque period, which in Central Europe lasted approximately from 1650 to 1800. The purest examples of Baroque architecture in the Czech lands are the UNESCO listed archbishops' palace and gardens at Kroměříž, country chateaux like those at Kuks, Chlumec nad Cidlinou and Buchlovice, churches like St Nicholas' in Prague and the UNESCO listed Trinity Column and the series of six baroque fountains in Olomouc. Well, as they say: "If it ain't Baroque, don't fix it"! Terrific post. I think I may have to highlight your work on my blog tomorrow. You're awfully good at teaching us cool stuff, Captain Oddsocks! I hope you finish the series too. I want to hear about each style and see what groovy title you come up with too. Cheers Karen, and thanks for the mention - much appreciated. Anything that sharp for Gothic or Renaissance, Ian ;-) ? What and where was the 'Sudetenland'? Whose God do you have to screw...?